The US Defense Department's Advanced Research Projects Agency - DARPA - has developed a "ghost" ship. It's called SEA Hunter and has an all-robotic crew. No humans allowed on board. 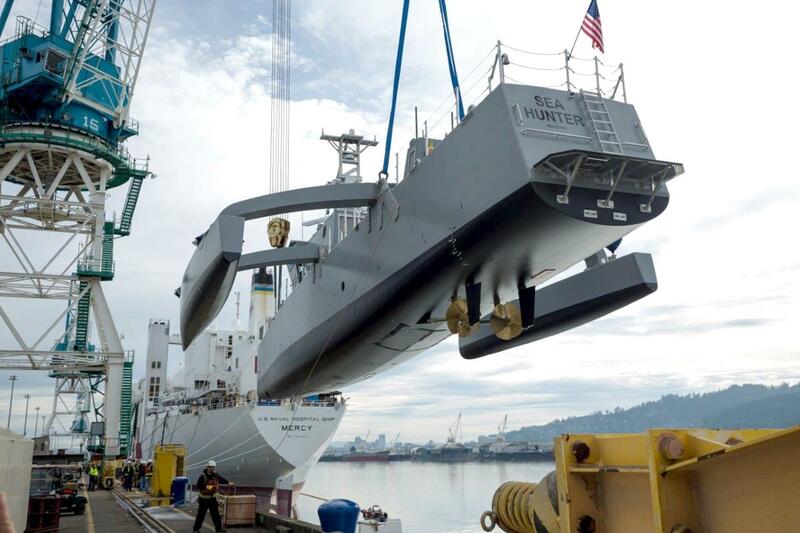 It's the first prototype of an autonomous, robotic sub hunting ship. It's been christened and is now being tested, deployed and developed by the Office of Naval Research. It gives new meaning to Wagner's Opera "The Flying Dutchman". Robo ship uses a 5th generation medium frequency sonar system mounted on the hull. It conducts both active and passive sonar passes. DARPA is also working on the development of nonconventional sensor technology to further enable the vessel to precisely spot and track enemy subs, mines and vessels on the high seas. DARPA believes SEA Hunter is a revolutionary prototype vehicle that could ultimately lead to a new class of ocean going vessels with no people on board. The ship and its all-robot crew have undergone extensive open sea trials for long range tracking capabilities. It's also been successfully tested with a mine countermeasure payload. The goal of this program is for a future in which manned warships and robot vessels complement each other on diverse missions. Robot ship is very cost effective. It costs $15,000 to $20,000 per day to operate. That compared to the $700,000 a day it takes to operate a guided missile destroyer. Clearly, the US Navy could deploy many robot ships at a fraction of the cost of existing anti-submarine warfare ships.